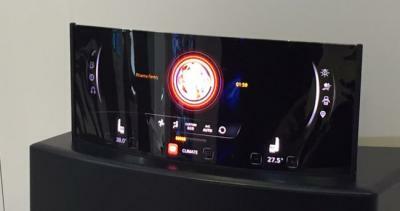 LG Display announced its entry to the flexible OLED automotive market back in July 2014, and the company LGD unveiled a 12.3" Full-HD flexible automotive OLED panel in early 2016. LGD is already collaborating with Tesla, Cadillac and Mercedes, but the company's panels are not in production yet the company previously revealed that mass production will only start in 2018. According to ETNews, LG Electronics Vehicle Components (VC) is now speeding up its process of commercializing automotive OLEDs, and recently hired OLED touch experts. It is not clear if this means that LGD hopes to commercialize automotive OLEDs sooner than 2018 - and in any case ETNews estimates that the first premium cars to feature these OLEDs will only arrive in 2-3 years.